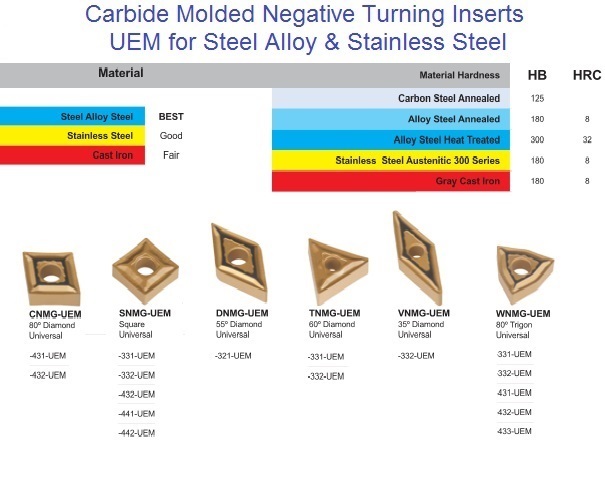 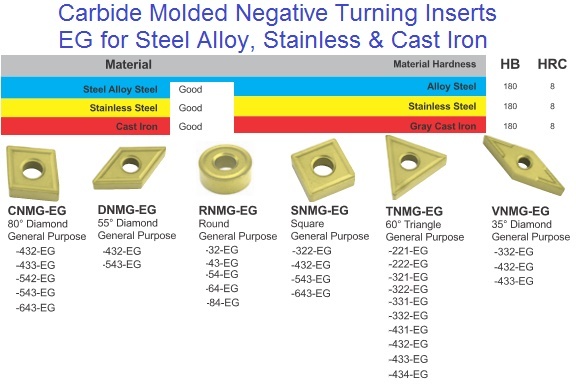 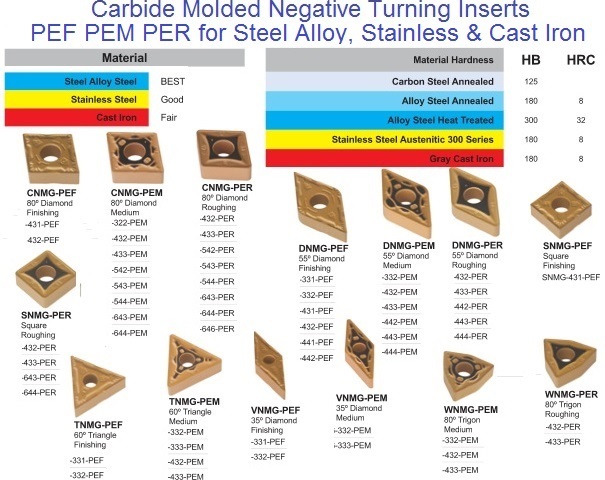 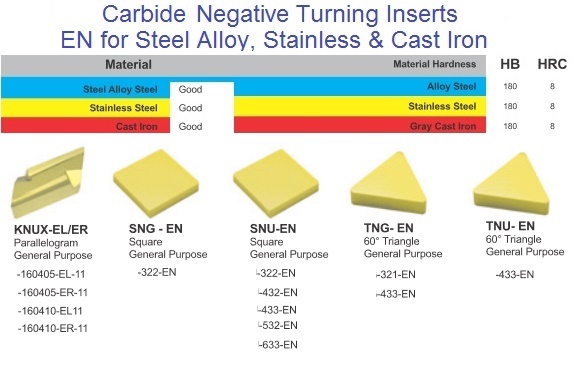 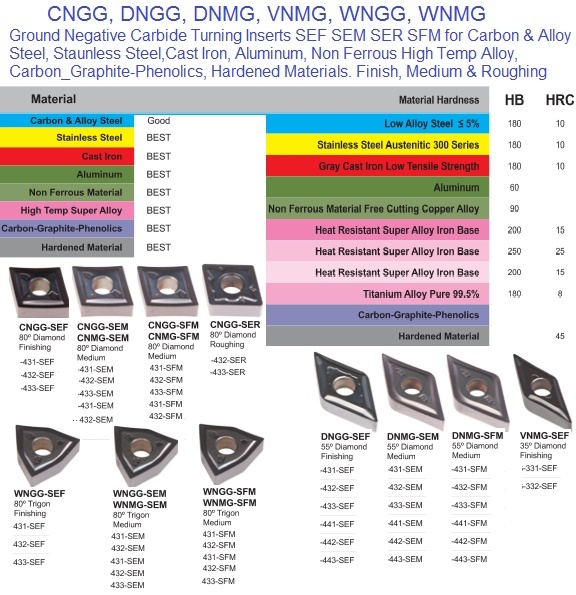 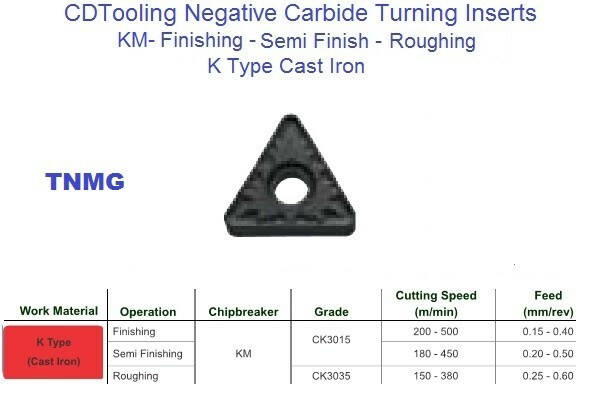 An EG chip breaker with General DUC25UT insert grade has a tough impact and abrasive resistant substrate with a CVD TiN/TiC/TiCN/TiN coating. 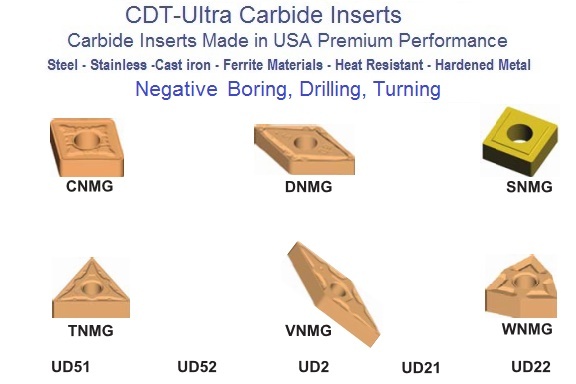 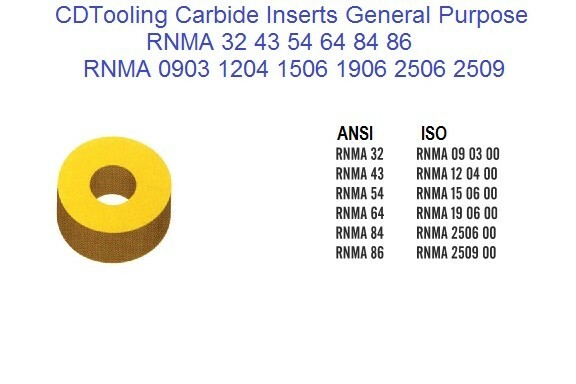 Inserts have a medium chip breaker geometry, a multi radius nose and a honed cutting edge. 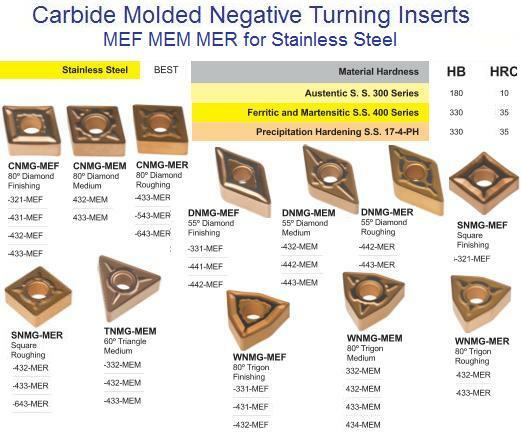 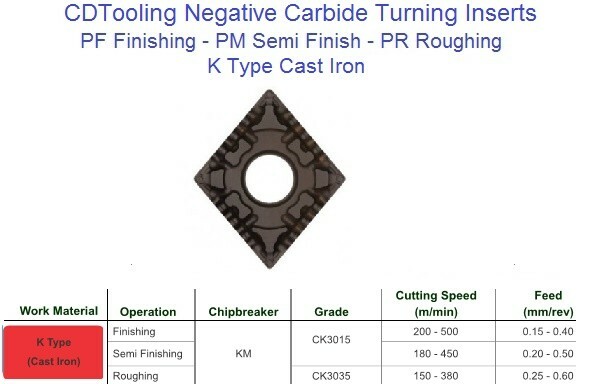 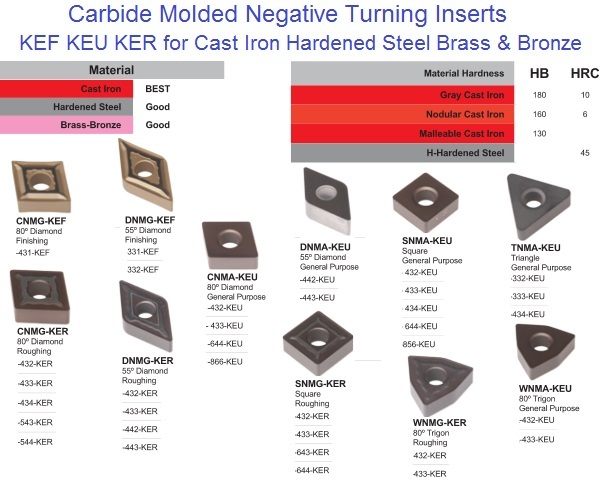 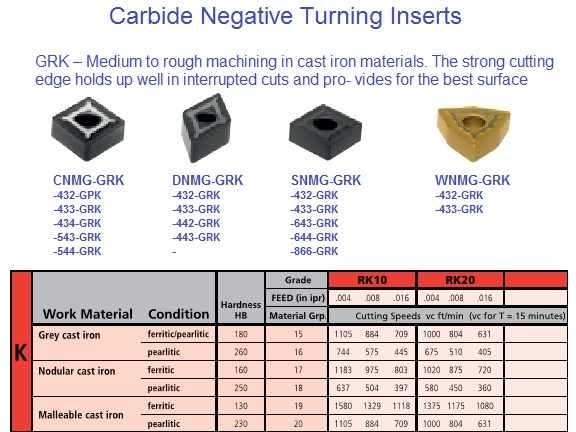 GRK - Chip Breaker Medium to rough machining in cast iron materials. 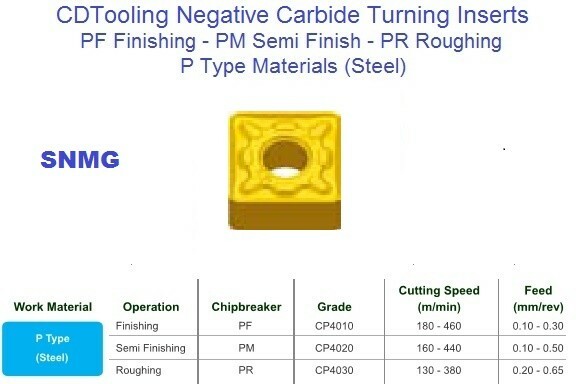 The strong cutting edge holds up well in interrupted cuts and provides for the best surface finishes. 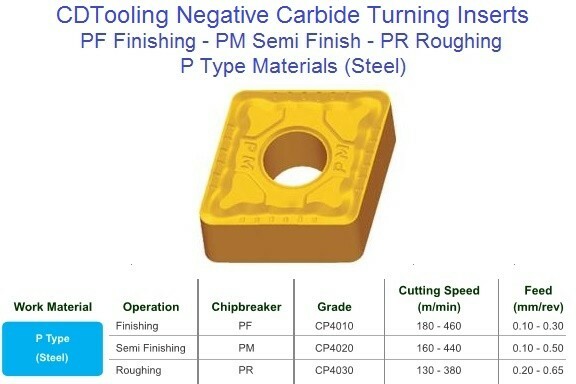 Depth of Cut 0.050" to 0.394" Feed Rate 0.010" - 0.040"